The Ebro River, or Río Ebro in Spanish, is the most important river in Spain and the largest in regards to the amount of water it moves each year. The name of the Ebro River came from the Roman name for the river: “Iber”, which arguably led to the name of the whole Iberian Peninsula. The Ebro River Delta wetlands are an important stop for migrating birds and a vital source for many river animals as well as different types of surrounding plants and fauna. Additionally, fishing in the Ebro River is a popular sport attracting tourists and Spaniards alike who try to catch giant carp, zander and catfish. The Ebro River runs approximately 928 km (576 mi) with a drainage basin of 85,550 km² (33031 mi²). The Ebro River originates in Fontibre (Cantabria) and makes it way through the rocky gorges of Burgos before flowing eastward. With the aid of various tributaries from different mountain ranges and the Iberian System, by the time the Ebro River reaches Navarre and La Rioja it becomes a wider and more voluminous river. The Ebro River is of significant size when it passes through Zaragoza, Aragon where the Basilica of Our Lady of the Pillar stands next to the emblematic river. Upon reaching the Autonomous Community of Catalonia, the Ebro River narrows as it passes through mountain ranges. Here, large dams have been built to exploit its natural resources. Finally, after passing through the gorges, the Ebro River bends eastward again and in the province of Tarragona, the Ebro River delta discharges into Mediterranean Sea. The Ebro Delta in Tarragona, Catalonia forms a very important Mediterranean wetland area of 320 km² (123.5 mi²) that has grown rapidly over time. Today the delta area of the Ebro River is used for a variety of agricultural purposes including rice, citrus fruit and vegetable cultivation. The Ebro River delta wetlands also provide habitat for more than 300 different species of birds. Due to the importance of the Ebro River delta to river flora, river fauna and river animals, in 1986 Spain protected a large area as the Ebro Delta Natural Park (Parc Natural del Delta de l’Ebre). The park is recognized internationally for its conservation efforts, particularly in regards to 8 plant flora species, 69 vertebrate fauna and 95 different species of breeding birds, including the largest colony of Aundouin’s Gulls. Ebro Delta Natural Park is also a very important stopping point for migratory birds. In order to maintain the ecological and economic importance of the area, a system of canals and irrigation has been built throughout the Ebro River Delta. The River Ebro area has been increasing in tourist popularity for the rich wildlife and fishing it provides. Bird watchers can spot gulls, terns, reed warblers, flamingos and more. 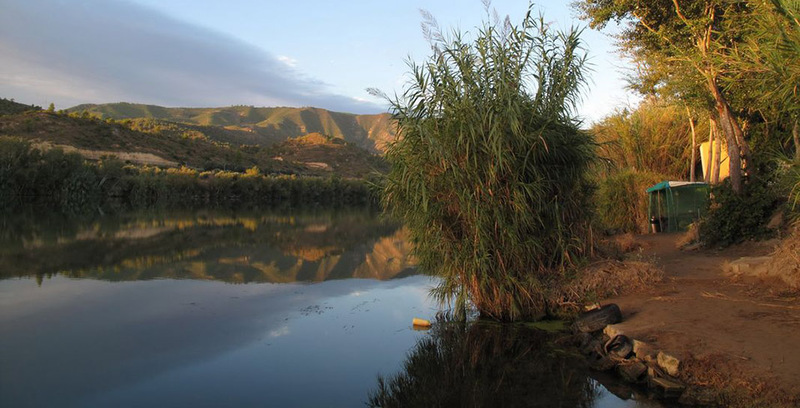 Fishing in the Ebro River is known as some of the best fishing in all of Europe. The River Ebro is known for its extra large carp, catfish and zander fish. Dream fishing on the River Ebro! 2 fishing licences (Catalonian and local) for everyone.